Doina commenced in sport as a Figure Ice Skater at the age of 3 and has since had over 27 years of hands on experience in the Fitness Instructing and Management industry. She is a former Member of the Institute of Sport Romania (Coaching) and also holds an Accounting degree. Doina’s all time favourite is dance teaching and she is a passionate athlete in anything from swimming to sailing to full marathons and triathlons. 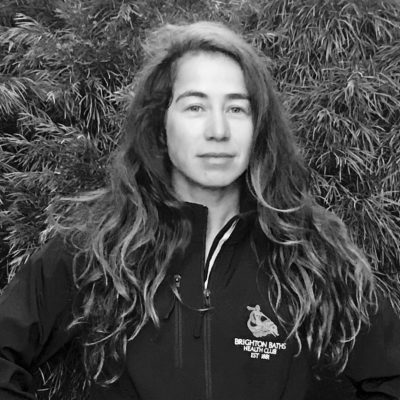 She is a keen sailor, currently in Tasar Class and has participated in the Tasar World Championships (Busselton WA 2015 & Gamagori Japan 2017) and several Tasar National and State Championships. Prior to Tasar, Doina also completed 5 years of ocean racing on keel boats. Doina has been a member of ‘The Icebergers’ since 2011 and has participated in many open water races. In 2016 Doina completed an English Channel Relay Swim as a member of the Brighton Baths Team along with her sons Dan and David. Motivating people is her best skill!